I'm a typical girly-girl. 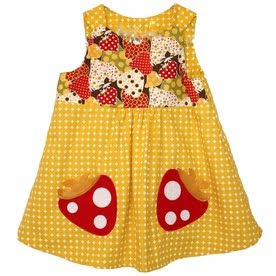 I love fashion and shopping; so, it's only natural that I've been searching all sorts of stores and online shops looking for goodies for Baby C.
Okay, so I know we've got quite a bit of time before she gets here; but I just can't help myself! I can't wait to get my hands on my precious, little baby girl and dress her up like the princess she is! The only problem? Well, we don't know what size or even age she'll be! Well, not exactly. We decided to be really broad with our age range and put in a request for infant through 3 years old, leaning more toward the 2-3 year old range. I think, though, since we're younger, we'll probably get matched with a younger child. To top everything off, I've been reading lots and lots of first-hand accounts of mothers and fathers who were shocked at their adopted Ethiopian child's weight/height as compared to an "average" American child of the same age. Obviously, the Ethiopian children were often healthy; but significantly smaller in both height and weight. 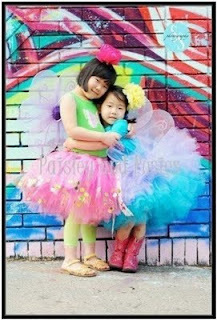 I know these little tutus are becoming nearly cliche they're so popular; but I don't care, they're adorable!!! Lots of seamstresses and shops make and sell them, but I love these brightly colored beauties from Etsy seller Paisley and Posies! Her tutus are bright and uber-fluffly. You can also choose the color(s) of tulle for your tutu and if you want any embellishment (I know, as if it needs it, by why not?! :). Plus, her photos are so beautiful and bright; I would hang them in my house! 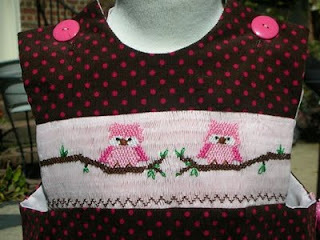 Check this shop out at: www.etsy.com/shop.php?user_id=6037124!!! I'll say it again, I'm an owl NUT! LOVE them! So, these two items are right up my alley! The dress on the top is by Etsy seller The Classic Baby and has the most precious and hip smocking I've ever seen! (www.etsy.com/shop.php?user_id=6865618) The tunic on the bottom is by Etsy Seller Earth Groovz and is just so cool; I adore the fabric! 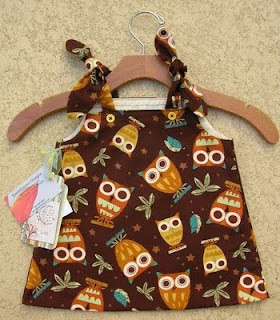 (www.etsy.com/shop.php?user_id=5384509) What a hip toddler Baby C will be! 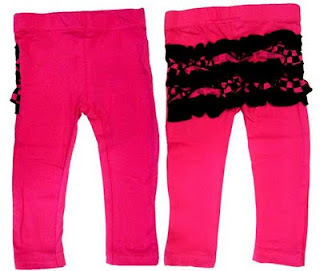 How adorable are these ruffle-bottomed leggings by Psycho Baby (www.psychobabyclothing.com)?! Too cute! Are you sensing a theme here??? I told you I love girly things! :) This "can-can" dress is by The Retro Baby (www.theretrobaby.com)...let's hope Baby C's not too adverse to the idea of dresses! Too Emo/Hipster? I just don't care! 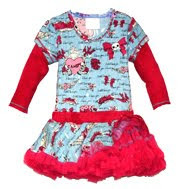 This "Lil' Berry" dress is by Kitsel (www.kitsel.com) - lalaLOVE it! I hope you had fun looking at some of these goodies. I know I did! Adventures in Crafty-Land: Part Trois??? Picking an Agency - Check! "The Three W's" or "Why We Chose Ethiopia"